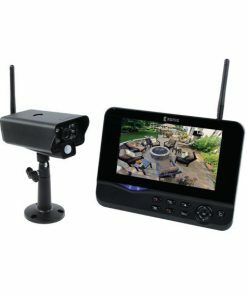 Home security can be an expensive addition to any property. 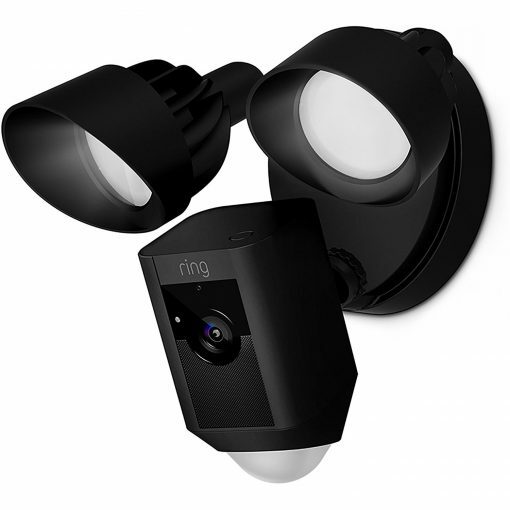 The Ring Floodlight Cam looks to provide an affordable consumer option with modern connected technology and instant notifications. 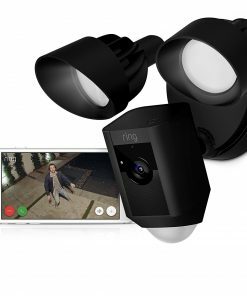 A 1080p Full High Definition camera records whoever on your property trips the motion sensors and mpressively bright 2000 Kelvin lamps illuminate the scene. As you review the footage in real-time, you can even set off a 110 decibel siren! 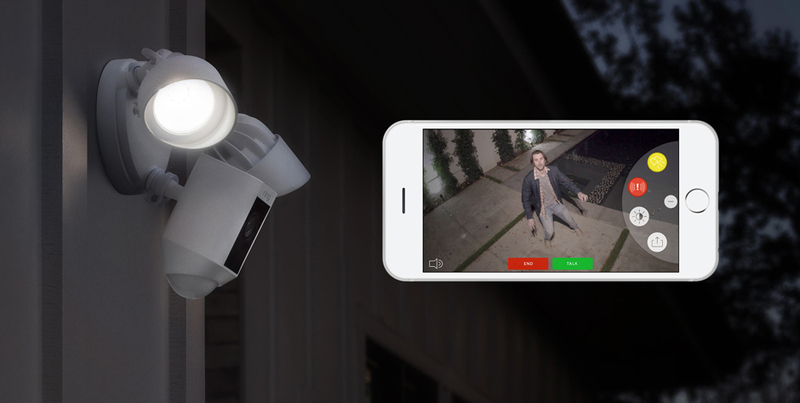 As soon as this happens, you get an alert on your smartphone or tablet. 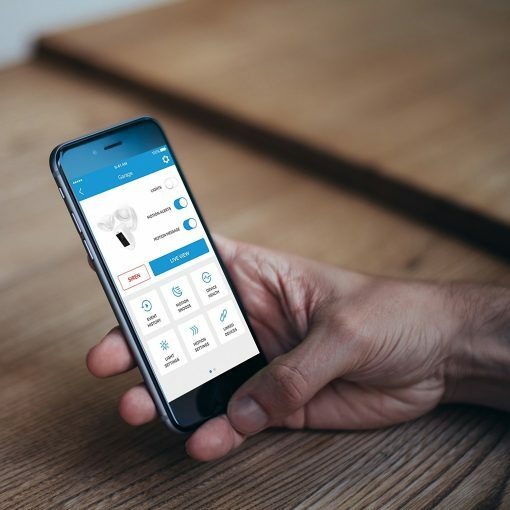 Through the free app, you can instantly see who’s on your property and even talk to them – each Ring has two-way communication with a built-in microphone & speaker. 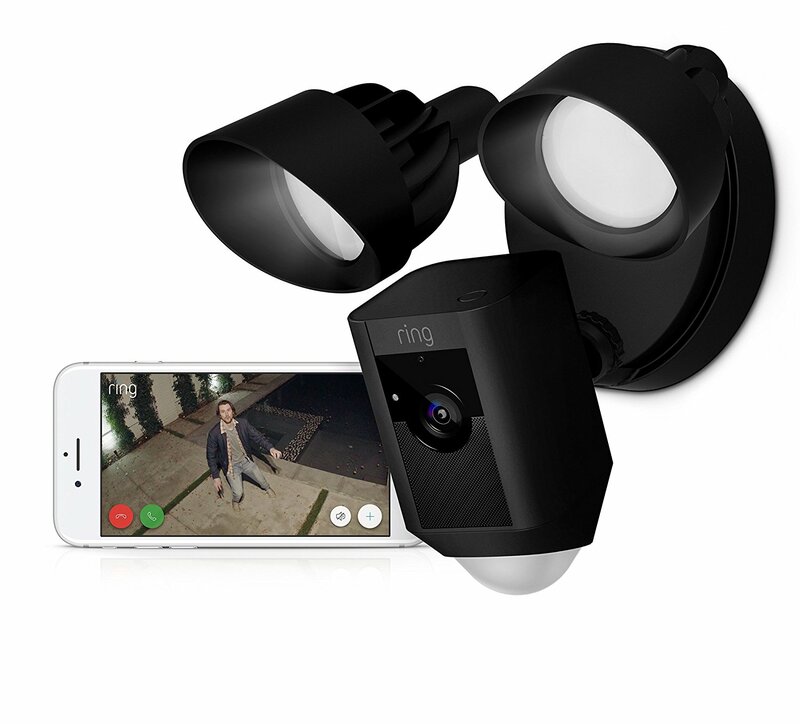 You can even zoom and pan the camera remotely through the app. 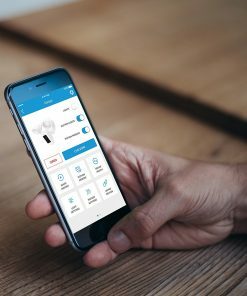 Ring lets you set up customised ‘motion zones’. 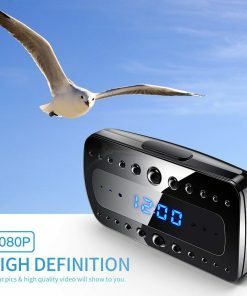 This helps if people tend to approach from a certain direction and can let you ignore certain areas the camera can see. 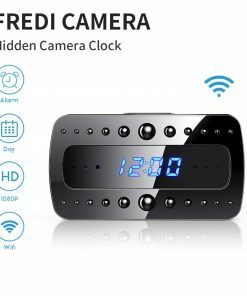 This is useful if there are areas that people regularly pass through during the day and you don’t wish to be notified of. 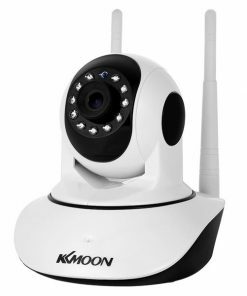 The camera has a wide 270 degree field of view, so can pick up blind spots and is excellent when installed on a building corner. 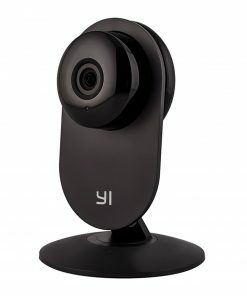 Motion sensors and face detection can be used in tandem to better provide you with notifications. You can also schedule times of day to provide alerts or have the system stand down. 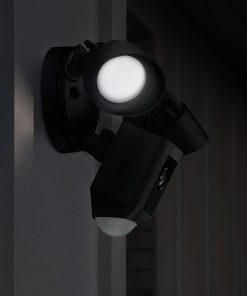 The Ring Floodlight Cam is designed to be simple to install, although professional installation by a qualified electrician is recommened. 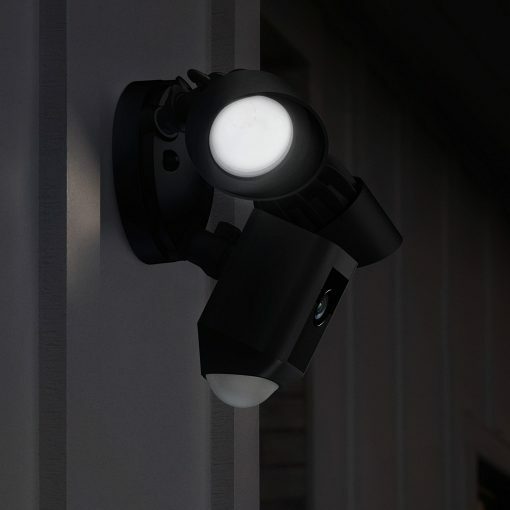 If you have existing floodlights, Ring can replace them and connects to standard junction boxes. Each Floodlight Cam comes with a full toolkit, including mounting bracket, wiring and transformer. 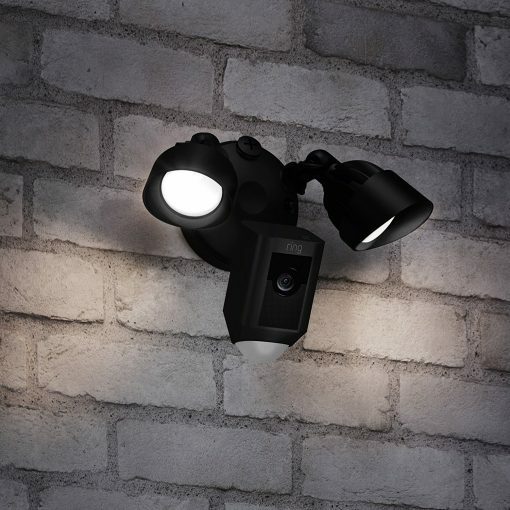 Following installation, the Floodlight Cam can remain in place for several years as it is weather proofed and receiving continuous power. 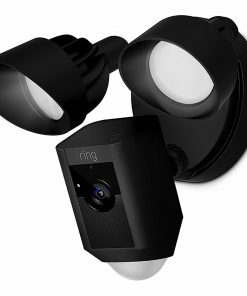 Once the Floodlight Cam is installed, you can set it up with the Ring app and have it connected to your Wi-Fi network in minutes. There’s no obligation to start up a recording plan, although signing up does provide you with additional benefits. 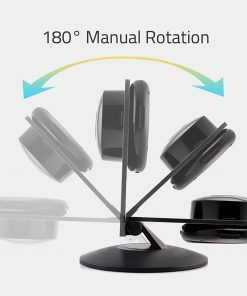 The standard Free tier gives you access to instant push notifications, streaming audio/video and live view. That’s all you nee dot get started using Ring. 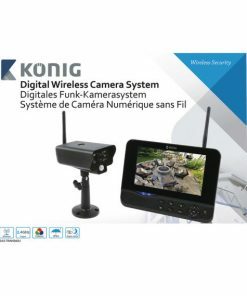 Additionally, the Basic plan offers 1 year extended warranty to protect against damage or theft. The Protect Plan has a lifetime warranty against damage or theft. 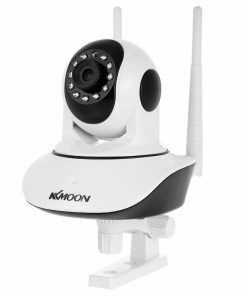 Basic is available for €30 (€3 p/month p/camera) and Protect costs €100 (€10 p/month unlimited Ring products).